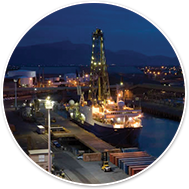 Australia and New Zealand form the Australia-New Zealand IODP Consortium (ANZIC), and the two countries have access to all IODP activities including shipboard and post-cruise research, participation in planning committees and groups, and visits from outstanding scientific speakers. Access information on IODP expeditions, both past and present, including how to be part of an expedition. Australian and New Zealand scientists have access to a range of resources and opportunities, including participation in IODP expeditions. Useful links and resources for the IODP community. 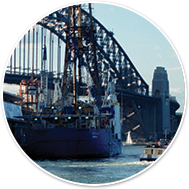 Access the latest in IODP research and literature including ANZIC annual reports and contributions to publications. For Scientists	 ANZIC provides a broad range of opportunities for Scientists in Australia and New Zealand, ranging from participation on board our ships to the chance to delve into data and cores from over forty years of ocean drilling expeditions. For Students	 With the support of our scientists, ANZIC seeks to share the thrill of exploration with students of all ages. Together with IODP, we offer an extensive range of educational resources and opportunities for students and their teachers from primary schoolers to university undergraduates. Science meets Parliament is designed to bring together decision makers and Australia’s leading STEM professionals, to promote the role of science, technology, engineering and mathematics – and the valuable part these sectors can play in politics. Each year more than 200 scientists, technologists and STEM professionals take part in this unique event over two very full days. ANZIC has two seats at this event – our Program Scientist will be attending and we will be looking to make a position available to a mid-career researcher to attend. More details to follow.